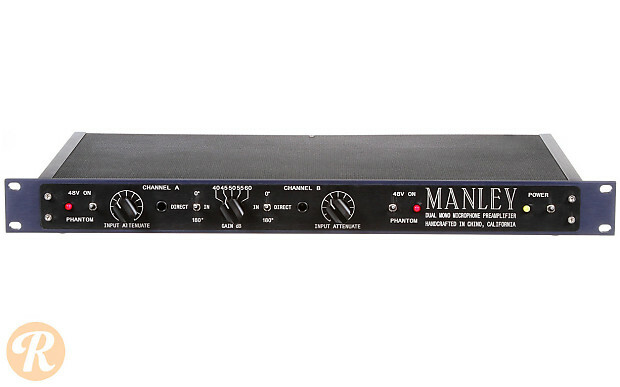 The Manley Labs Dual Mono Microphone Preamplifier is an all-tube design with two channels of up to +60dB of gain for microphones in 5dB steps. Hi-Z direct inputs for guitars/bass/keys/etc. are also included on the front panel.